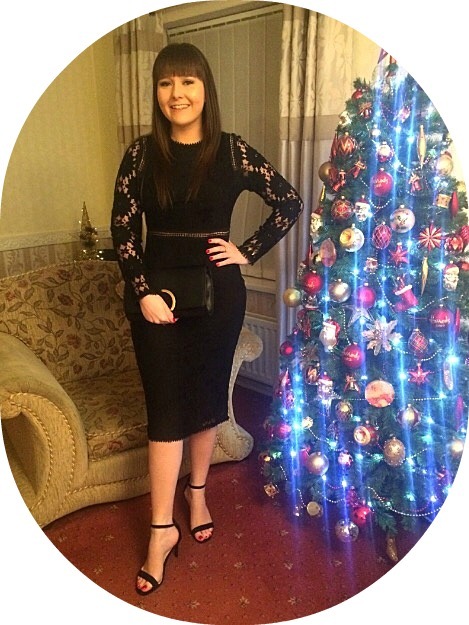 Today makes it officially 9 weeks to Christmas *almost bursts with excitement* so I thought what better post to write than one about how we can count down to Christmas Day. Every year new advent calendars are being released ranging from traditional chocolate to beauty ones - now who doesn't love the idea of opening a door to a beauty goody every day for a whole 24 days?! This is Boots very first beauty advent calendar and features lots of amazing brands such as Soap & Glory, Nails Inc, Rimmel, Umberto Giannini, Paco Rabanne, Juicy Couture, 17 and lots more. The products inside add up to more than £65 making it a definite bargain at only £30 therefore I can guarantee it will sell out very fast as it is probably the most affordable beauty calendar on the market this Christmas. This is without a doubt my favourite advent calendar in the beauty selection this year. Like Boots, this is also Benefits first ever advent calendar and one thing for sure is they definitely haven't disappointed. 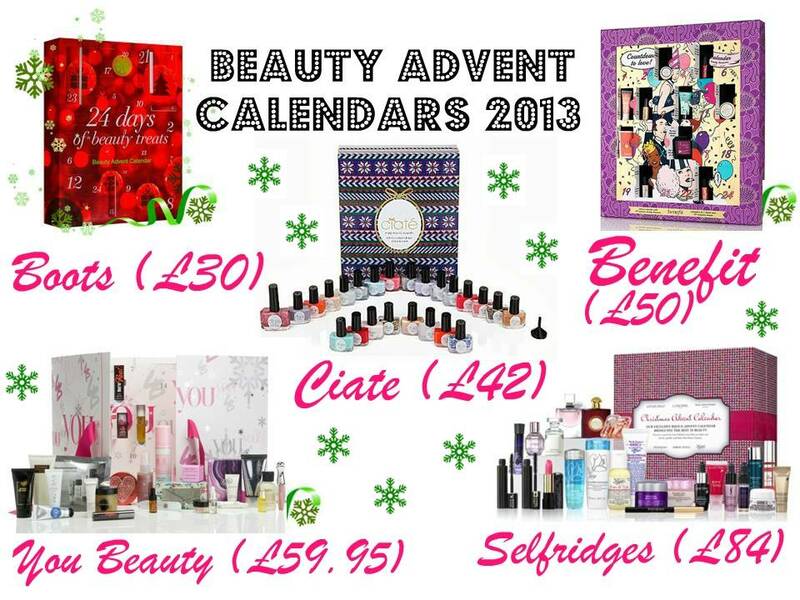 This calendar is stocked full of many of their bestsellers including Porefessional, High Beam and BADgal Lash. Not only are you going to be receiving 21 beauty products, you will also receive a charm bracelet, a charm necklace and a barrette without a doubt making it worth the price. I am nail polish obsessed so this is my second favourite advent calendar. The calendar features 24 mini nail polishes including 17 of their best selling shades, 4 mini caviar blends and 3 exclusive glitters. Every year this sells out so if you want to get your hands on it be quick! This is the most expensive beauty calendar I am featuring in this post coming in at a huge £84 - I agree this does sound overly pricey but when you look at the luxury brands included it may make you change your mind. This advent calendar contains brands such as Yves Saint Laurent, Giorgio Amarani, Lancome, Kiehl's and many more. There isn't actually much information available for this years You Beauty Advent Calendar however, last years was pretty amazing with the total value of products included coming to £210 making this a fantastic bargain. If you don't fancy getting a beauty product advent calendar there are lots of alternatives on the market including a fabulous Yankee Candle one featuring 23 tealights in many scents such as Snow in Love, Merry Marshmallow, Red Apple Wreath and Sparkling Cinnamon and extra special gift behind door 24! Which advent calendar will you be choosing for the countdown to Christmas?